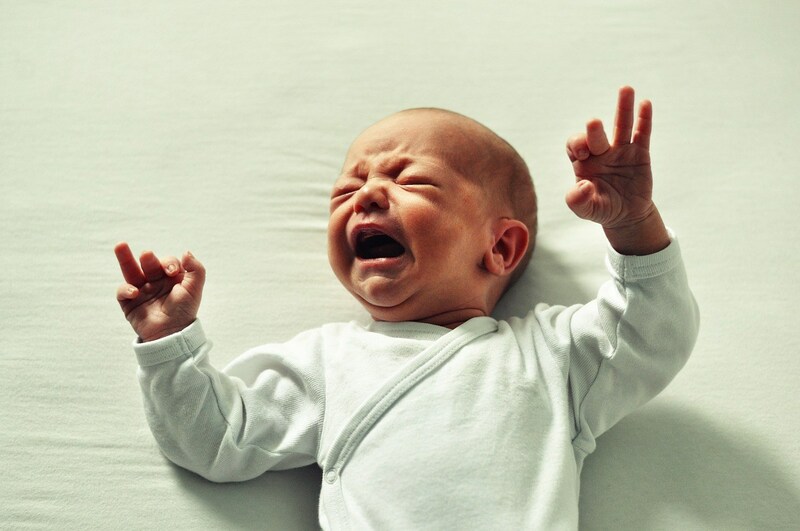 Babies often get cranky and either refuse to sleep altogether or wake up during the night and start crying. This is where parenting seems to come to a halt. Most people are terrified whenever their babies break the cycle of sleep and don’t seem to be that eager to quiet down. As a parent, it is crucial to know how to put your baby to sleep. Research shows that no matter how hard a parent tries to correct the sleep behavior of the infant, there will be no results right away. It takes some time to bring the sleep of your baby back in order. 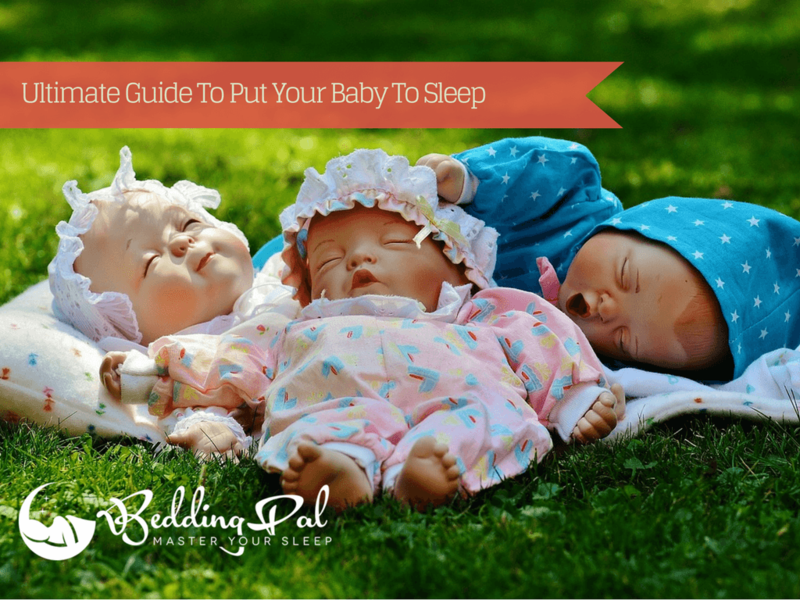 BeddingPal proudly presents this guide that talks about: Part 1: Quick and easy baby sleep methods. Part 2: How to deal with a less-known issue: sleep regression. To put a baby to sleep, you first need to understand what it takes to accomplish this task successfully. At this point, you are a coach trying to teach a student the skills that he or she needs, you’ll be teaching sleep. Here are some general guidelines on how to put them to sleep – and make sure they stay that way. Followed in this order, your baby will fall fast asleep in no time. To get your baby to sleep, you first need to understand his/her sleep rhythm. Each kid needs a different amount of sleep depending on their age (a one-year-old will have different needs than a 3-month-old, for instance). 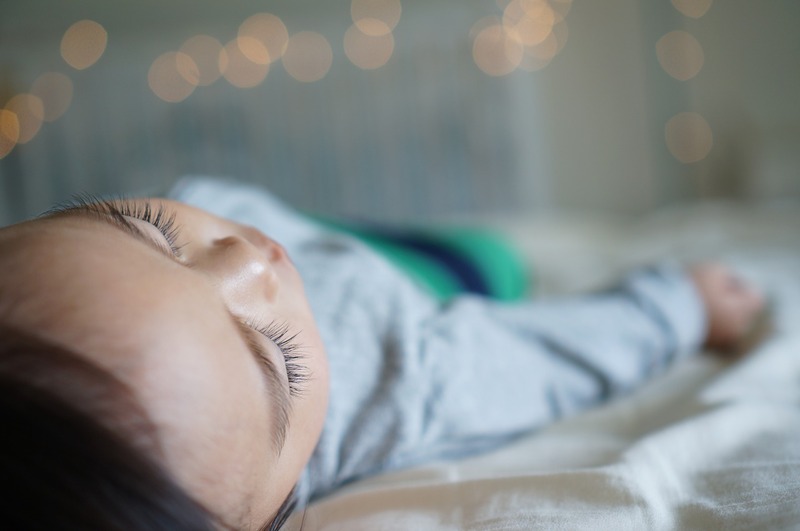 It may be very tempting to force your baby to only sleep at certain hours, but most of all, you need to learn how to go with the flow by reading your baby's sleep pattern. Look for the obvious signs like yawning, rubbing eyes, fussing, looking away etc. Shift their sleeping schedule according to when they seem to sleep most soundly. Babies, especially newborns, don’t have a distinct sleep pattern; actually, they can go through seven separate cycles every day. To make sure they will fall asleep, try to keep the nap times short; if not, you’ll just end up waking up in the middle of the night because a certain someone just won’t stop crying. Once you know the sleeping needs of your angel, create a pre-sleep routine. Do the same for the daytime naps. This bedtime routine will make them so accustomed to the cues that they won’t even try to fight them anymore. Make sure that the environment is also calm and quiet. You won’t be able to put them to sleep if your other kids are playing around in the same room. Also, you won’t need the room to be pitch dark; a night light would actually be helpful for making them fall asleep faster. Check that the mattress of crib or bed of your baby is comfortable and that the room is at a good temperature. If the baby feels too hot or too cold, you won’t be able to make them sleep anytime soon. Remember that feeling of sleepiness that we get once we’ve had a good meal? Well, babies are the same – ten times that. So to make sure they go to sleep soundly, you may want to stretch their last meal. No matter how hard you try , a hungry baby won't go to sleep. Babies need to be fed every 2-3 hours, but a shift like this will surely help you a great deal. It will make them feel drowsy, and they will fall asleep right away – and stay that way. Babies have different soothing preferences; some like being rocked or bounced to sleep while others are jolted awake by that movement. What worked like a charm for your friend’s baby may not work for yours, so you may want to experiment. If he/she likes strong movements, try rocking him/her in your arms around the room. If not, try gently moving them around the room as you soothe their back. Discover the movement to which they respond best. We get it, you love staring into those big, innocent eyes as they are falling asleep; however, this will only engage them and make them believe it’s playtime – and you can kiss their (and your) sleep goodbye. To make sure the baby is not distracted, avoid looking straight into his eyes, talking excitedly with him, or humming out his favorite song. Instead, look at their bellies and soothe their backs to sleep while using a quiet voice. 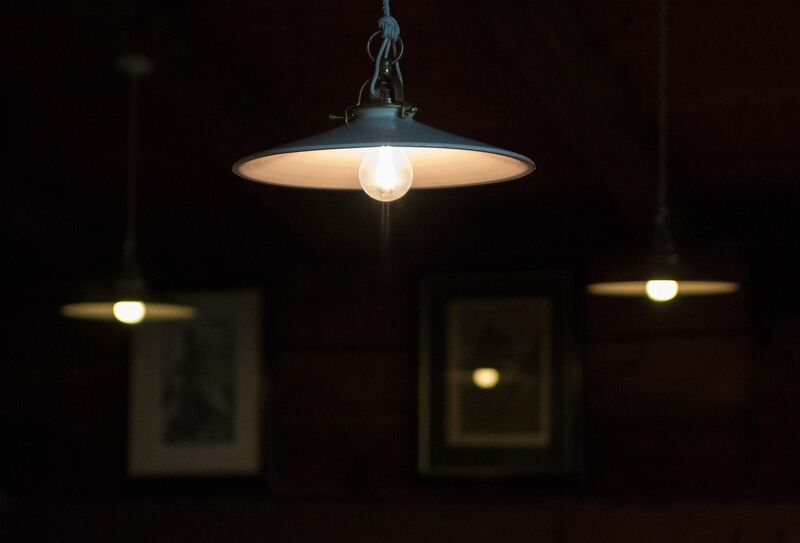 There’s a common belief that babies will fall asleep easier if the room is pitch dark; however, installing lamps with dim lights may actually help the baby sleep even better than sleeping in a dark room. At the same time, a night light can become a cue for putting the baby to sleep. The moment they see the lights dim out, they will get that “It’s time to sleep” feeling. As parents, our first instinct would be to put them down when they are already asleep. However, it’s more efficient to put them down when they are in that half-asleep state. This way, they’ll learn to fall asleep by themselves, and next time they won’t be as likely to get upset and confused. If a baby wake up during the night, he doesn't have the cognitive abilities that are interconnected with going back to sleep on their own. This is the primary reason why they wake up and start crying like there’s no tomorrow. Some researchers claimed that this sleep regression could re-occur for up to one year. You have to realize that sleep regression is a natural phenomenon and absolutely every baby will experience it. There is no need to be irritated. Now let’s see how to deal with it effectively. In the first three months of his/her life, your baby starts to get accustomed to the natural/normal way of getting sleep. It is also when sleep regression begins to rear its head and incidentally ruin your own sleep cycle since you have to wake up more often than not and take care of your upset baby. ​Place the baby on his/her back: The American Academy of Pediatrics (AAP) has recommended to put babies to sleep only on his back. ​Get the crib rid of clutter: It’s less likely that an infant between 1 and 3 months old will be able to play with toys, anyway. Remove everything from the crib that could result in your baby getting injured. ​Make sure the room is properly ventilated: That is, it must not be too hot nor too cold. Moreover, do not cover the baby in layers when the room is already warm. He/she must be comfortable. ​Don’t smoke in the baby’s room: Smoking is incredibly harmful to adults, but more so for babies. Their lungs are fragile and will not handle smoke too well. And yes, this rule applies to e-cigarettes, too. See if the baby wants a pacifier: If he does, then let him have it. If he doesn’t want it, you should not enforce it. There is no need for it if the baby doesn’t fuss around too much. Ensure there is nothing in the baby’s reach: Make sure there is nothing that he can drop on himself or wrap his neck around while turning in his sleep. Ideally, you should place the crib in the middle of the room, away from anything that could present a danger for an infant. Fortunately, babies tend to overcome sleep regression when they hit the 4-month mark. Their bodies are accustomed to tending for themselves, and they are now able to wake up, look around and fall asleep immediately afterward. A study that has surfaced in the AAP News & Journals has found that when babies are 4 or more months old, they sleep better in their own rooms than those who sleep with their parents. At this age, most babies have to sleep up to 15 hours out of 24. Here are the steps you must follow in putting your baby to sleep when he/she is between 4 and 7 months old. Get the baby to his own room: It will be difficult to do it, and you will probably be paranoid for a while, but he is better off this way. It will further enhance his/her capability of going back to sleep if he wakes up. Make sure he is on his back: Again, it doesn’t matter that the sleep regression period is over. The AAP recommendation still holds in place. The baby will be able to breathe without any problem, and this will subsequently offer you some piece of mind. Remove the toys from the crib: At 4 months of age, any baby can pick up pretty much anything around him. Toys are often hazardous for children, especially when they are so young. He will be able to play when he wakes up, but until then, there should be no toys nor trinkets in the crib. 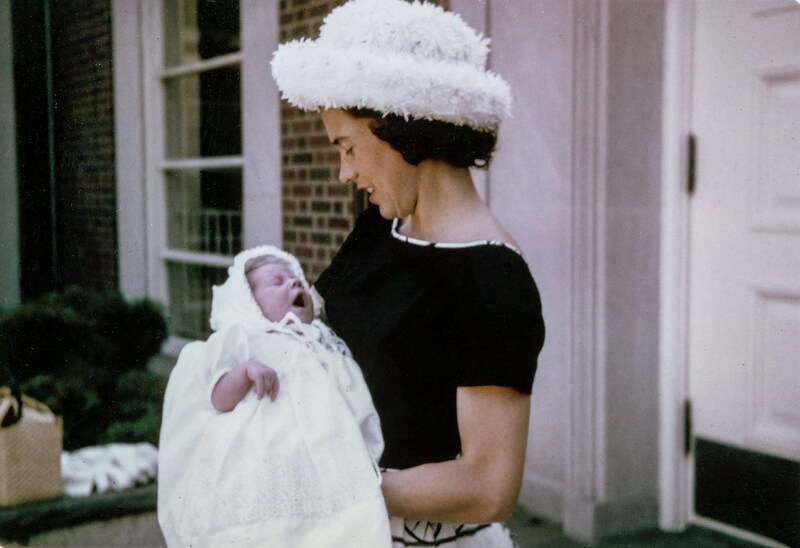 Do not overdress the baby: If the room is warm enough, then there is no need for additional warmth. By contrast, do not under-dress the baby if it’s chilly in the room. 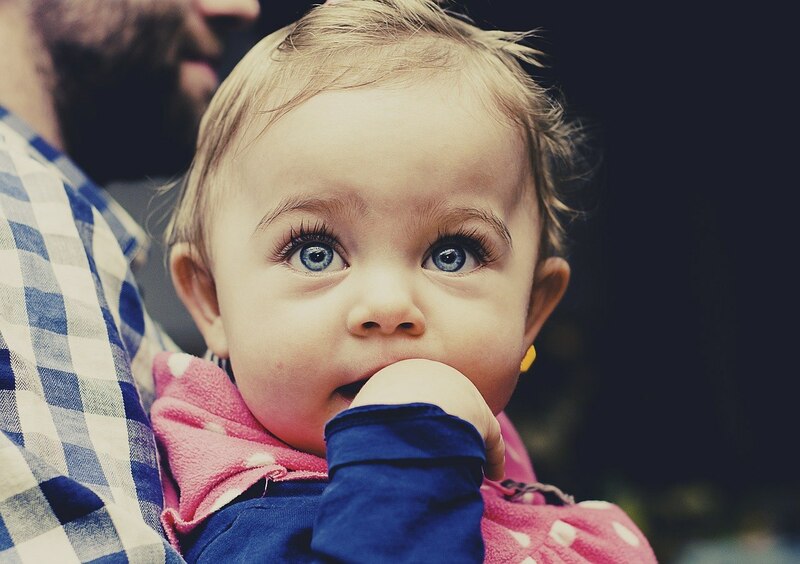 Avoid giving him a pacifier: Babies this age already start rejecting the pacifier frequently. They simply lose interest in it, and they spit it out. Once more, you should not force the pacifier on your baby if he clearly does not want it. Refrain from smoking: This is already stating the obvious, but there are lot of parents who do not seem to understand how much damage smoke does to the lungs of a baby. Smoke outside or quit smoking altogether. Do not move the crib from the middle of the room: Babies this age are quickly becoming handier with the day. They can pull and push things (which they often do just because they can). So, if the crib does not allow them to reach anything they can pull or push, they are safe and you, also, will be able to rest assured your baby is fine. 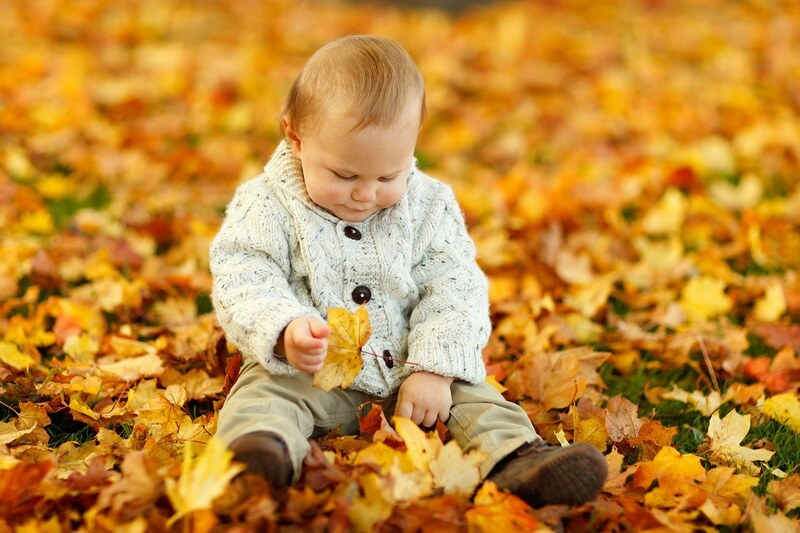 Your baby is getting closer to his first birthday, and this has tremendous implications. As Michelle Lampl and her colleague, Michael L. Johnson found in their study, the growth itself is correlated with a change in the sleeping patterns. 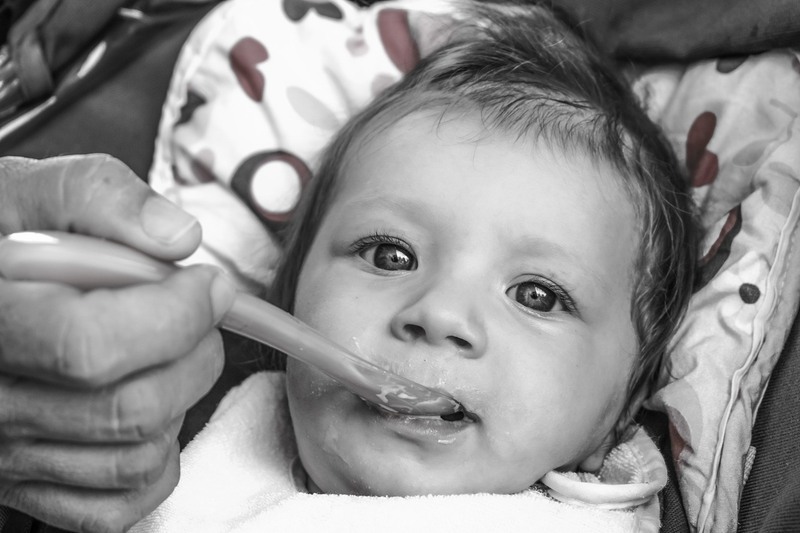 Provide relief for teething: Prepare for tens of wakeful nights because even though the sleep schedule of the baby is now established, parents are faced with another issue: teething. Consult with a doctor and provide your baby the medication for pain relief before he falls asleep. Put the baby to sleep when he is drowsy: This way, he will learn to fall asleep on his own. It works when he is awake as well, but he might throw a few tantrums until he closes his eyes. Whenever he gets drowsy in the future, he will know why that is: it is bedtime, and he will know what to do. Don’t force the baby to sleep: Some parents lose their patience when their children don’t fall asleep when they want them to. At this age, they start having a lot of energy, so you should not be surprised they yelling from the top of their lungs. You can try again after half an hour or even an hour. 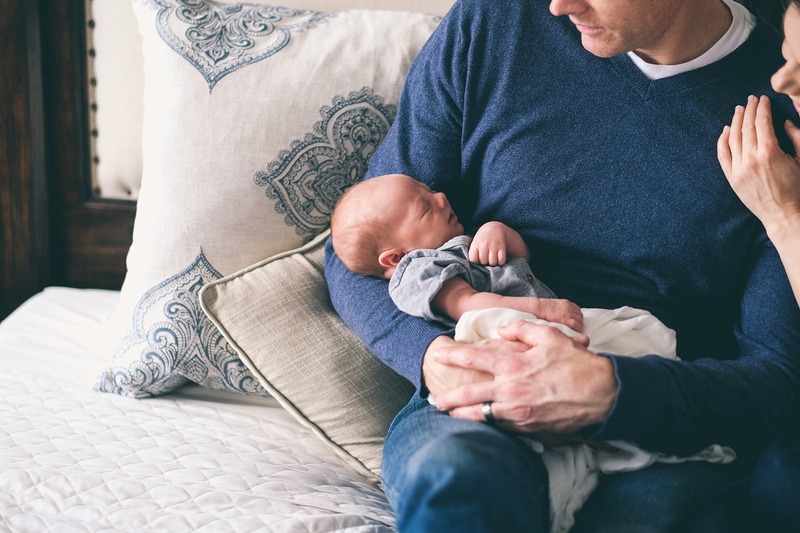 Give him time if the baby cries: At this age, the baby develops “separation anxiety,” especially if he slept in the same bed or room with his parents. According to a presentation by the DC Department of Behavioral Health, this is perfectly normal and will pass on its own. Try to get him off the pacifier: At this age, they must be parted from their pacifiers. Don’t do it forcefully. One step at a time. If the baby doesn’t want to sleep without it yet, then don’t take it away. Don’t leave things around them: Babies this age are usually up to no good. They can’t wait to get something in their hands and throw it, smash it or jump on it. When the baby goes to sleep, make sure he cannot reach anything he might injure himself with. Accustom him to a well-established schedule: At 8 PM, for instance, it should be bedtime. No sooner, no later. This will give the baby a sense of time and will instill in him the need to sleep at an exact hour, subsequently making your job a lot easier. Leave his favorite toy with him: Let’s face it, the baby earned it. From 1 year onward, toys are not dangerous anymore. Just make sure his favorite toy does not have any parts, sharp edges and other aspects that may present a peril for him. Allow him a plush blanket: There is no hazard of having him breathe into the blanket or inhale on loose threads now. He probably has a favorite blanket by now. You can let him have it. He will be 100% fine. Tuck it underneath him or let him clasp it to his chest. Don't cover his face. Assess what he can grab: Your baby is a miniature daredevil already. Now he can pull himself on two feet and grab things. Curiosity is natural. Things that are up for grabs should be taken out of his reach, including those he can get by climbing on his crib. 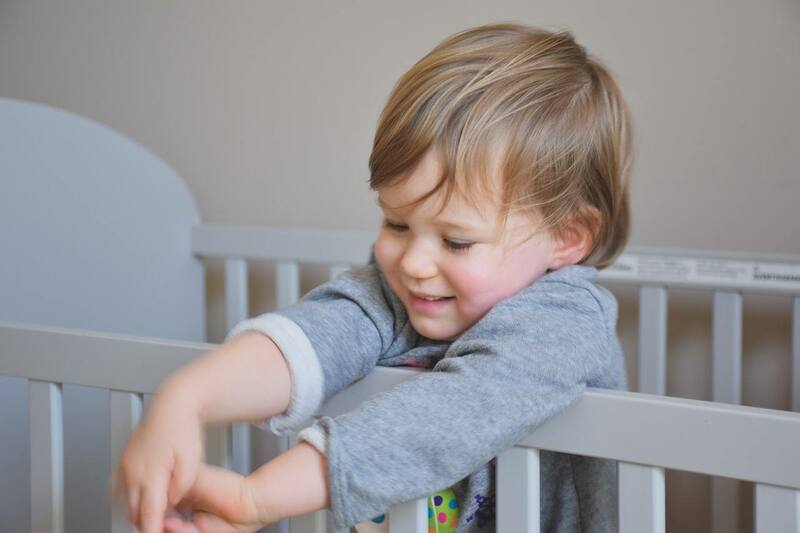 Leave the door open: Children can easily climb on their cribs after their first birthday. 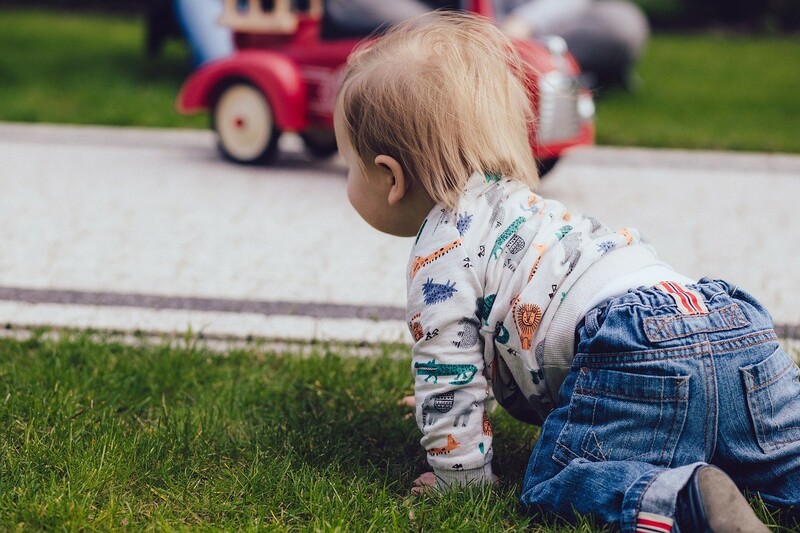 You can rest assured that your baby won’t injure himself by lowering the mattress, getting a rail around the crib or simply leaving the door to his room open. Should he get restless, you can hear him and see what the deal in. Check him once in a while: You will have your fair share of moments in which you’ll have to get the toddler back in the crib. Check the baby and see if he is sleeping once a few hours. Let him fuss around for 5-10 minutes: Babies start dreaming around the age of 1 – 2, so they will probably wake up crying sometimes. If the baby does not stop in 5 minutes, you can go and comfort him, although there’s a strong chance he will be asleep when you get to his room. Putting your baby to sleep may be very difficult in the first few months – and you may not get a lot of sleep yourself because of it. However, with the right routines and hacks, you may be able to get your first good night’s sleep sooner than you thought. Also, sleep regression in infants takes a huge toll on parents. The most important thing is to keep your calm. Babies are difficult until they develop their cognitive functions. Each and every one of us has been a child, and our behavior was not different at all. You don’t have to worry excessively or try to force things/speed them up. Babies will follow the natural course of events, and before you know it, they will be able to sleep on their own.